This one day meeting is aimed at core trainees, specialty trainees, consultant surgeons, allied health professionals and non-training grades with an interest in laparoscopic surgery. ​Trainees will have the opportunity to rehearse the key LapPass skills and members of faculty will be available to coach, assess and sign off where appropriate. 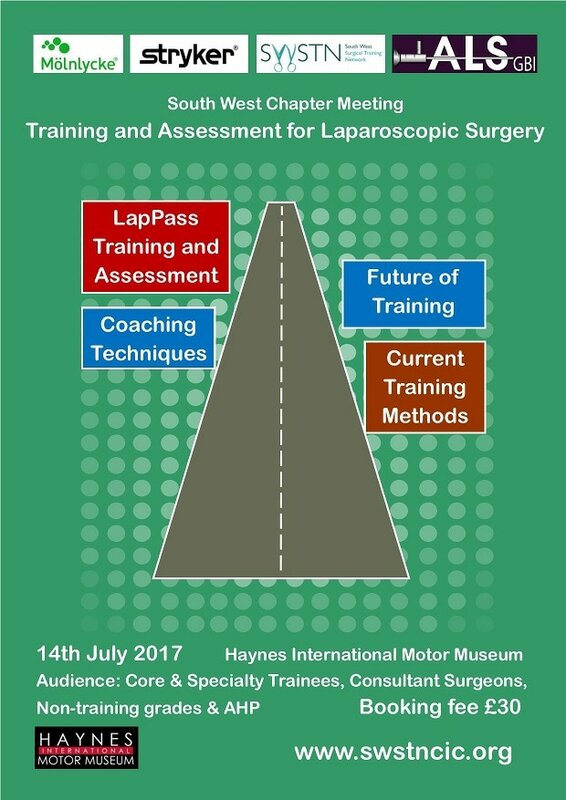 ​This event will be held at the Haynes International Motor Museum, near Yeovil and will be subsidised by healthcare companies and the ALSGBI. Delegates will be asked to make a small contribution to the cost of the day (£30) with a £5 discount available for ALSGBI members. ​Please note that there are a limited number of complimentary places available.